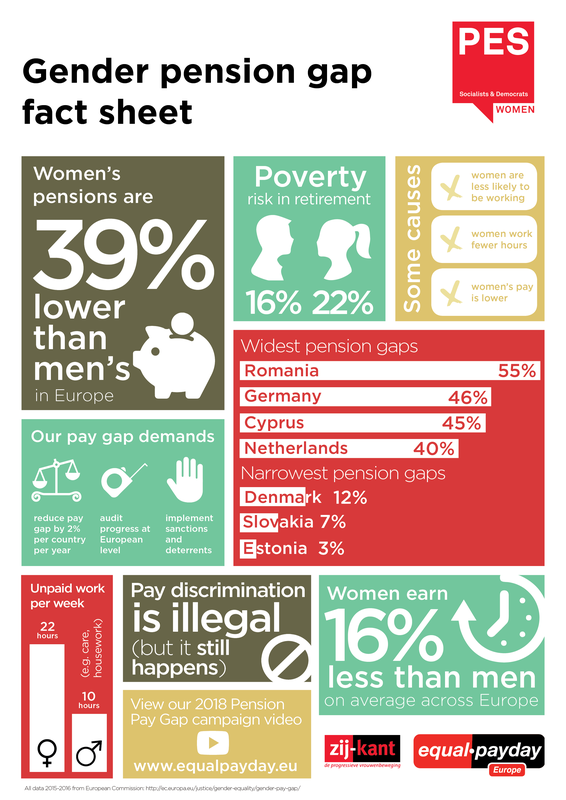 Equal pay for women and men is still not a reality in Europe. 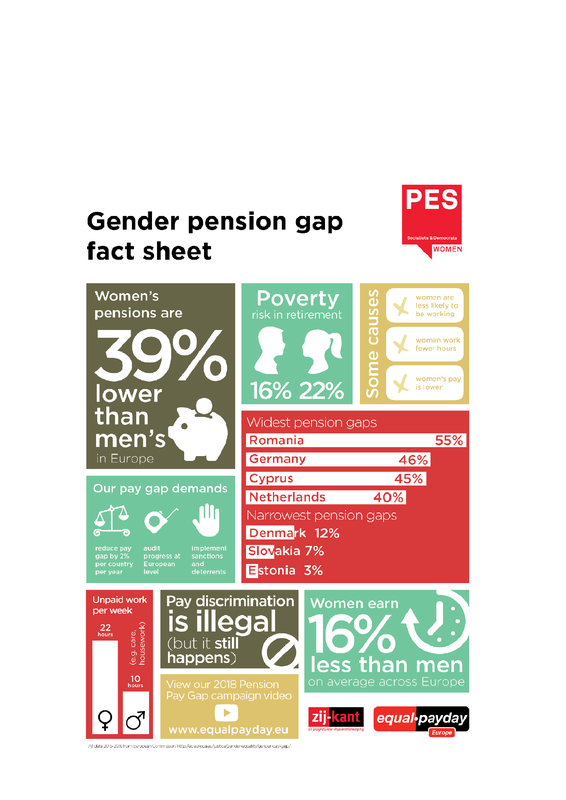 This is why PES Women and zij-kant organise the European Equal Pay Day, a day to raise awareness about the persistent issue of the gender pay gap. Equal Pay Day marks the day women have to work until in order to earn as much as their male colleagues earned the previous year. 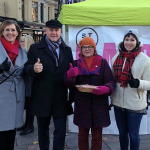 To raise awareness about the pay difference between women and men, PES Women and zij-kant conduct their European awareness raising campaign on that day. 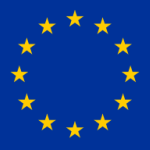 This year, the European Equal Pay Day takes place on 27 February 2019. The date is not chosen randomly: it symbolises the percentage of the difference in pay between women and men on the European labour market. If this pay gap diminishes, Equal Pay Day shifts to an earlier date in the year. The opposite happens when the gap widens. According to Eurostat 2016 (the most up to date figures available), in Europe, women earn on average 16% less than men. This figure is calculated using an average gross hourly income of full and part-time workers. The differences between European member states are big. In Poland, Romania, Slovenia, Italy and Luxemburg, the pay gap is under 10%, while in the Czech Republic, Slovakia, Germany and Austria, the gap reaches over 20%. Estonia falls to the bottom of the list with 25%. Belgium scores comparatively well, with a pay gap of 6%, while neighbouring countries are doing much worse, with the Netherlands on 16% and France on 15%. The gender pay gap is a problem in all member states. 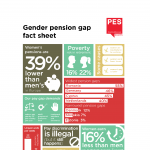 This is why PES Women, their member organisations and zij-kant want to raise awareness of European Equal Pay Day. 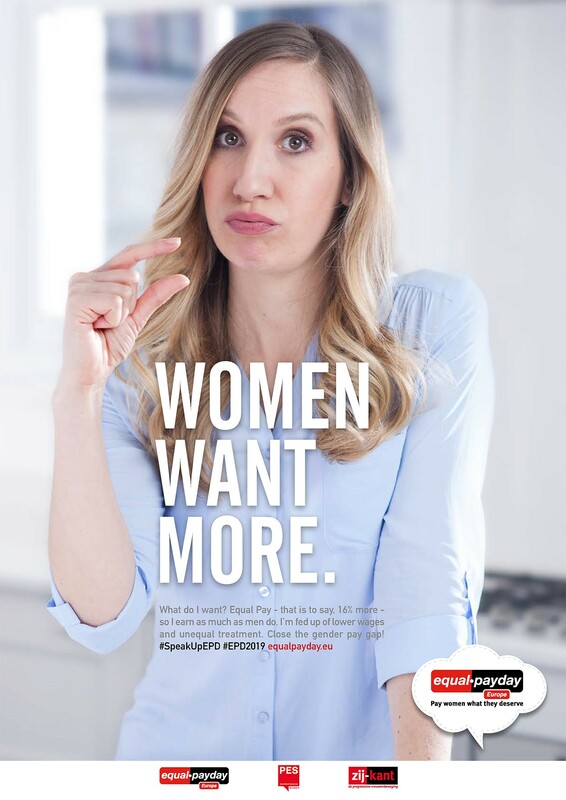 The agency mortierbrigade, which has created the Belgian Equal Pay Day clips since 2005, created for this year’s European campaign a short film, raising awareness on an international level about the gender pay gap. 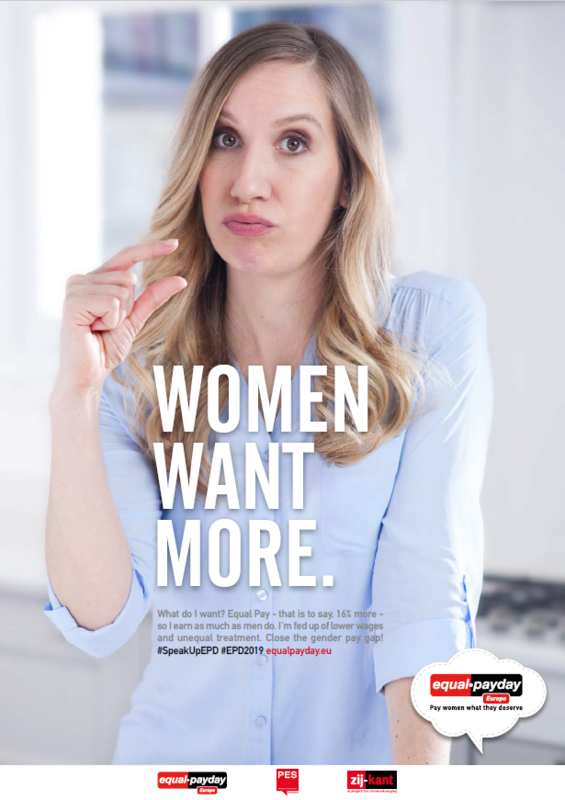 The video ‘Women want more’ focusses on the lower wages and unequal treatment women still experience. Equal Pay Day – Pay women what they deserve. Download the e-card of the new Equal Pay Day campaign here.